Is Instagram becoming the chosen social platform for brands? 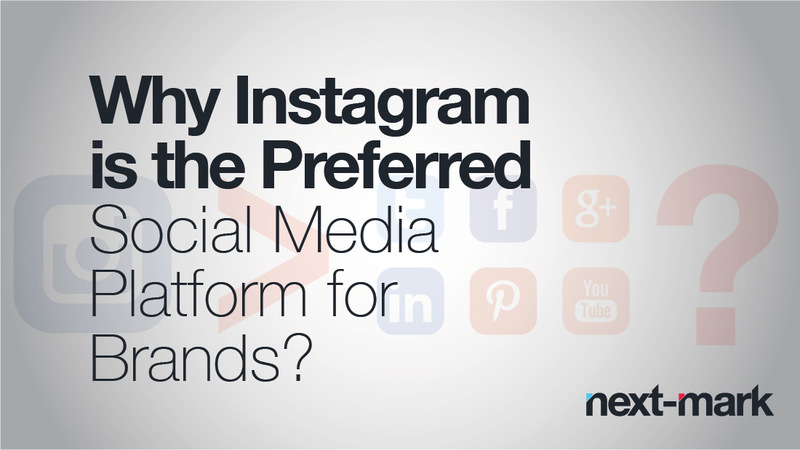 According to Branding Magazine yes, there is sufficient evidence to suggest that Instagram has surpassed Facebook as the social media platform of choice for brands. Allow me to explain further. A recent study has found that Instagram has become more than just a popular photo-sharing app used for recreational purposes. With over 300 million active users, Instagram has continued to experience exponential growth in both individual users and business users since its launch in 2010 while interest in Facebook declines. The study also found that brands pay much more attention to Instagram because they post to this platform an average of 9.3 times a week which is already a large increase from last years average of 8.8 times. This recent phenomenon has a number of contributing factors. When using Facebook, brands need to spend dollars for increased exposure while everything on Instagram is free; brands are more cognizant of the organic nature of Instagram. Unlike with Facebook, Instagram fans are generated through visually stimulating content and organic networking. Over the years Facebook has become increasingly saturated with self-serving advertisements, not to mention that they seem to regularly change their algorithm and interface. This has resulted in many users growing tired of the constant and sporadic alterations (as you probably know people like consistency). Since its launch in 2010, the basic interface of Instagram has remained fairly constant and simple (people also like simplicity). Instagram allows brands to tell the stories of their products and allows fans to share their own perspective with the rest of the community. It provides users the unique opportunity to solicit user-generated content through an activity they already perform everyday: taking and sharing photos! Lifestyle publications, beverage makers, newspapers, fashion labels, celebrities and television networks are using Instagram to convey their personalities and values through the use of visual content. Because it’s such a simple, intuitive platform, there are not a lot of rules and regulations on how brands should be using it, which gives them a great deal of creative freedom. Instagram has proven and continues to prove that it can be a well-working instrument for personal communication as well as generating brand awareness. It has managed to integrate various potential use cases in one app without causing the confusion about the app’s actual purpose that other platforms have been suffering from since they came into existence.